It feels so good to be back and settled in Dallas. I had the best time traveling over the holidays and can’t wait to share some of my adventures with you. But first, I have to share the BEST cookie recipe I’ve tried in a while. My friend Jen and I had a girls night, complete with wine, chocolate and a movie. Note: If you are a fan of the soft, gooey cookies, you might as well stop reading now. But for the rest of us crunchy cookie lovers… here it is! 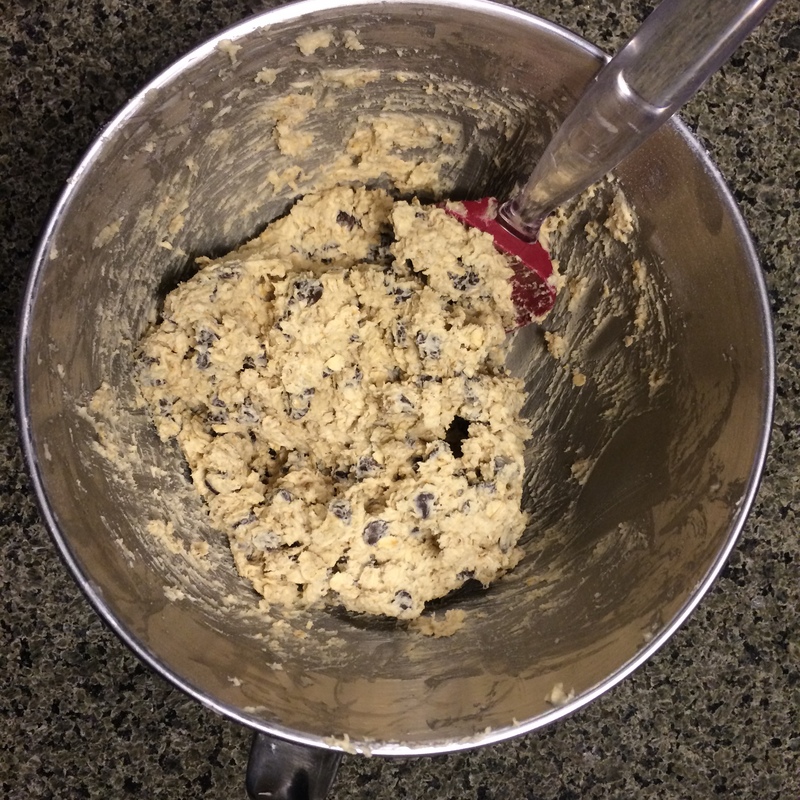 I found the original recipe here and modified it by adding more butter (accidental), oats, and chocolate chips. 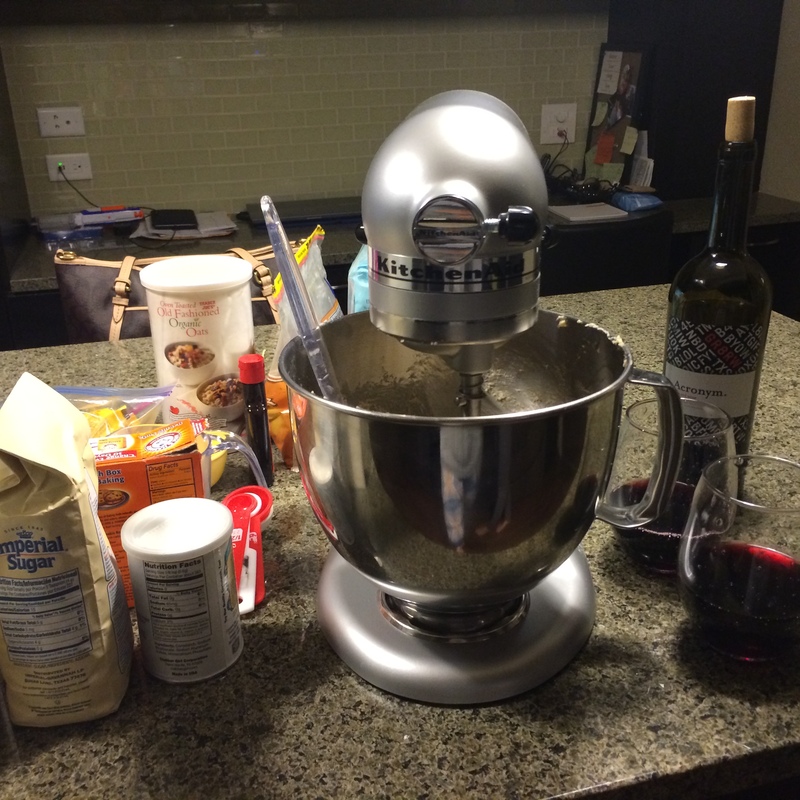 Add wet ingredients to a large bowl and use a mixer to blend together on medium speed. In a separate bowl add dry ingredients (everything but the oats and chocolate chips!) and mix well. Then, slowly add your dry ingredients to the wet. Place 2 tablespoon balls on a parchment-lined baking sheet. Be sure to space them apart as they will flatten quite a bit. And, viola! You’ve just made the crispiest, butteriest (we’ll call that a word), most delicious cookies. Enjoy!